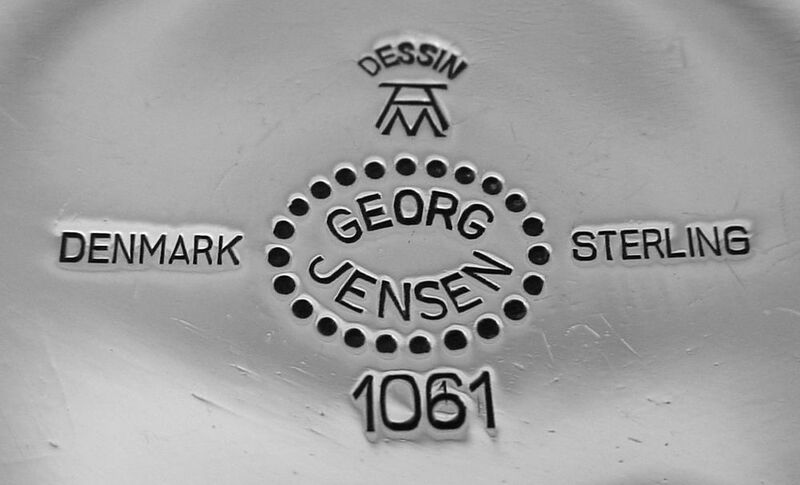 Below are several examples of when the designer's name, initials, or personal mark have also been added. These were more often used to recognize a designer who was quite influential and notable for the time. For a clearer chart to determine the designer, see further down. Please note that the initals listed were not necessarily used for the following designers. Some designers had their own special marks which were used instead, for example, Sigvaard Bernadotte's mark was his very recognizable signature.